Expressing the love of God by practicing the ministry of presence, building meaningful relationships, loving without hurting, and working/partnering to disciple the lost. On all the mission sites, there is a long list of faithful workers. Noted here are the ones who began the work on each of the sites. The pioneer of the Tulalip ministry was J. Frank Shaw. The work began on land leased by Rollo Maulsby, who had invited Shaw to come and see the needs of the people and consider starting a church. The response of the of the Native American people was slow, and they were reluctant to accept invitations from the church. After several months, a revival was held that resulted in twenty-seven conversions. Shortly afterward, a baptismal service was held in the cold water of a nearby stream fed by melted snow from Mount Pilchuck. The Shaws left the Tulalip congregation in 1943 “to launch a new Native American congregation in Toppenish, Washington.” Leland Harriman took over the pastoral care of the Tulalip congregation. Then in 1947, Adam and Marge Williams continued the work at Tulalip. Adam was a member of the Swinomish Tribe. In 1978, Adam passed away and Marge faithfully continued his work. Through the influence of J. Frank Shaw, another mission was started in Celilo, Oregon. Several students from Pacific Bible College (now Warner Pacific University), including Boyd Kole, assisted with the mission program in Celilo. This mission closed in 1958. The Wounded Knee mission began in the house of Robert Fast Horse’s home near Porcupine Butte. A group of students from Gordon Bible School, an institution sponsored by the Gordon, Nebraska, Church of God, led a prayer service at the Fast Horse Home and were invited to return. 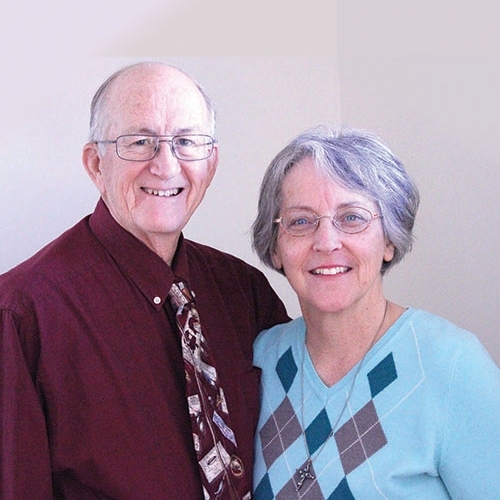 Mr. and Mrs. Earl Morey led the students, who conducted services for more than a year. The first pastor of the Church of God ministry on the Pine Ridge Reservation was Herbert Peterson, who served from 1940 to 1948. During his ministry, Wounded Knee was selected as the location for a building, and an existing building was moved to the church property. From the Wounded Knee Church, three other Church of God congregations have been established, serving the Sioux people who have moved off the reservation, in Gordon, Alliance, and Scottsbluff, Nebraska. Another Lakota (Sioux) mission began in Allen, South Dakota in 1962. Ivyl Salisbury, a layman, was the first to minister here. Another Native American Mission began in 1939 among the Cherokee in Oklahoma by Wiley and LaVaughn Hall. This started in Park Hill near Muskogee. In 1943, Native American Ministries opened a new work in Tulalip, Idaho, among the Nez Perce Indians. This work was started by James and Elmina Kole. In 1945, A. J. Stewart, who was pastoring close by in Billings, felt the need to evangelize on the Crow Reservation. Leroy Falling, a member of the Cherokee Tribe, played an important role in Native American Ministries. He had “a distinguished career with the Bureau of Indian Affairs…In the early 1960s while serving as principal of a school on the Navajo Reservation in Arizona, he contacted Bahe Woodman, a gifted Navajo leader and a man of great spiritual qualities who had become a Christian.” A mission was started at Klagetoh, and Bahe became the pastor. Now his children Ron Woodman and Maureen Woodman continue the work. 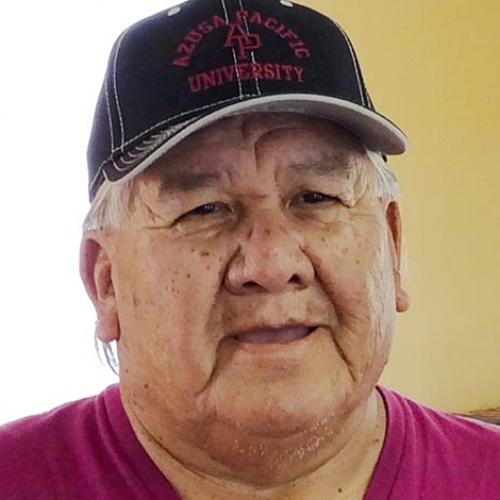 In 1979, Fred Mamaloff left the work at the Crow Agency, Montana, to return to Alaska to evangelize the Native Americans and Eskimos in Anchorage. The American Indian Council is experiencing a regeneration of sorts with the restart under Global Strategy within the Church of God Ministries family. There is a renewed interest in the great needs of the Native American people. We thank God for this new spirit of cooperation and interest towards revitalization. As we seek to reimagine and restart our ministries, we are in great need of internships from our colleges and universities at all our mission sites. We are in need of identifying and training youth leaders at each mission site and organizing local training programs to prepare these potential leaders for service to our congregations. We would like to also extend an invitation to any Native American in our churches across the United States to get involved in this needy ministry as it struggles with the plight of its peoples. We call on all believers and congregations to unite with us in supporting the existing work and finding new missionaries and pastors/leaders/trainers who can come alongside us to develop the work further. We are in great need of financial support. Your accepting of this call will do much to further the kingdom of God among the Native Americans. May God bless you as you consider this vital call to partnership. The ministry of the Church of God to the Native American reservations has been a work in progress for many years. It seeks to reach Native Americans in Arizona, Nebraska, South Dakota, Idaho, and Washington State. Faced with unusually high rates of domestic abuse, unemployment, suicide, and hopelessness, these ministries are in great need of support. In the last few years there has been a renewed interest in this vital ministry. 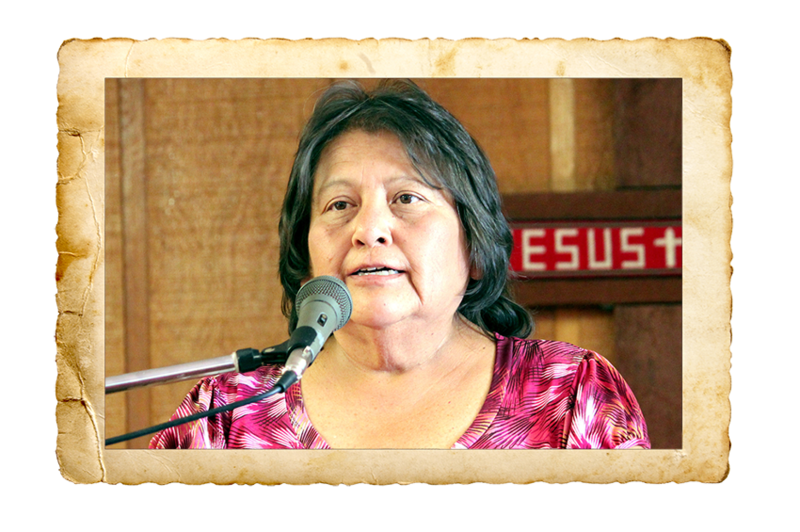 In cooperation with the American Indian Council of the Church of God, overseen by First Chief Maureen Woodman, Native American Ministries, led by John Johnson, is revitalizing this aspect of Home Missions of the Church of God. The American Indian Council, along with the missionaries currently in the field, has a deep concern and commitment to seeing the work among Native Americans on these reservations revitalized. It is urgent that the Church of God begin to know and partner with these specific missionaries and Native American leaders to enable them to accomplish and expand their work among these Native Americans by making Jesus the subject of their lives. This is accomplished by proclaiming and demonstrating the love of Christ among them faithfully and regularly. Please pray that the leadership of the AIC will effectively work together to develop Christ-centered leaders and workers to do God’s will on the reservations. Also, be in prayer that new Native American leaders will hear the call of God to serve in this work. In addition to these two very important needs, pray that missionaries, council leaders, and Native American leaders will find a spirit of cooperation and respect for each other and for the cultural differences among us. Pray that we can find systems and programs that are effective and can be replicated throughout the work. Thank you for your support, prayers, and encouragement in this endeavor! …of 12 and 19 committed suicide. The community of Wounded Knee is in the middle of the Pine Ridge Reservation, and is in the Wounded Knee district. The Wounded Knee community has about 60 homes and 500 residents. Within the community there is the Church of God, an Episcopal Church that meets every other Sunday, the Post Office, and a Head Start building. Residents have to drive over eight miles to reach the closest convenience store and over fifteen miles to reach the closest gas station. In 1890, the Wounded Knee Massacre took place. The 7th Cavalry of the United States Army killed between 150 and 300 unarmed Lakota men, women, and children who were being held under the white flag of surrender. The mass grave where the people were buried is within walking distance of the church property. In 1973, the American Indian Movement, a militant Native American civil rights group, took hostage the town and area of Wounded Knee as a protest of the way the Lakota people were being treated by their tribal government. The church has bullet holes in the ceiling from the volleying back and forth between AIM and the FBI. The Wounded Knee Church of God has been ministering to the Wounded Knee community and the Wounded Knee District since the late 1940s. The church was started by a group of students from the Church of God in Gordon, Nebraska. 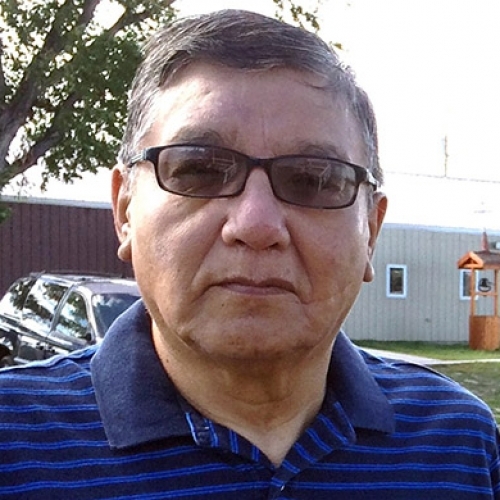 The senior pastor is Stanley Hollow Horn, a registered member of the Oglala Lakota tribe. 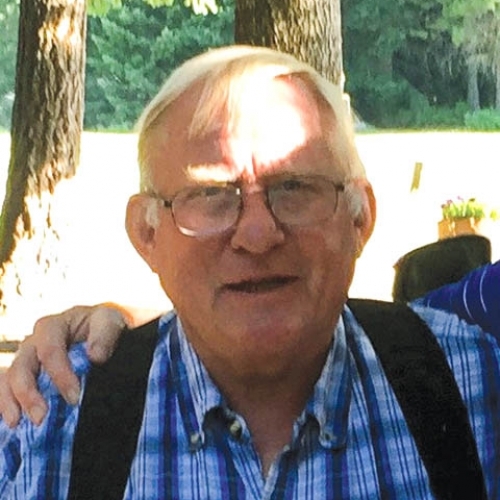 He has been serving at Wounded Knee Church of God since 2002. Average church attendance is between 15 and 30. The children’s Sunday School meets during the sermon, and there are between 5 and 15 children who attend regularly. There are also Wednesday night adult Bible studies, and attendance is growing between the men and women’s groups. The church has a small food pantry, and offers emergency food assistance when needed by community members. During the summer, the church hosts work teams from across the country and across denominational lines. Many of the groups offer activities for the whole family. In the summer of 2016, the church had seven weeks of Bible school, with an average of 50 children attending each day. One day, about 70 children were in attendance. Most work teams also offer adult groups for men and women and evening meals for the community. Our annual community carnival had over 250 people in attendance. The current church building is shaped like a tipi and was built in 1967. A Fellowship Hall was added to the property in 2007 and, in the summer of 2015, an addition was added to the fellowship hall to serve as a Sunday school classroom. Volunteer groups from churches from across the country built all the buildings on the property. Average weekly attendance: 25—13 adults, 12 children; adult Bible study—4. Needs: Amazon Wish List (http://a.co/bkWAyIu) includes Sunday School materials, Bibles, and cleaning supplies. Summer Numbers: Bible School 2016: Seven weeks of Bible School and average attendance 50, up to 70 children, ages 3–13. Two Community Carnivals: 250+ people at each Summer adult studies—Average 15 women, 10 men. Work Camps 2016: About 250 volunteers from across the country. Rev. Don and Pat Mink serve at this vital work at Alliance Indian Mission. They arrived “the last day of 1979.” These 37 years has been what Brother Mink calls a “ministry of presence.” He is very well known among the Lakota (Sioux) Indians. He ministers to them by addressing primarily their day to day needs. As a result, he is deeply respected. Rev. 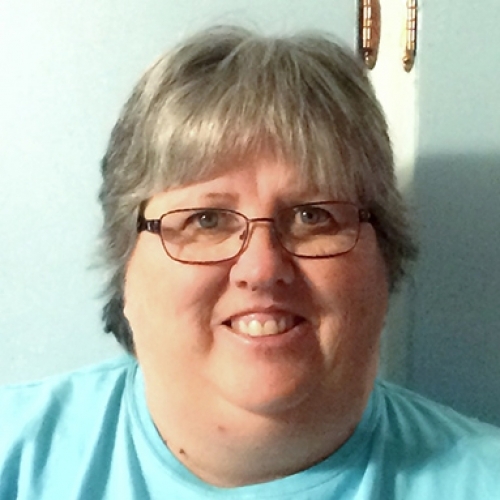 Linda Abold (husband Butch) serves as the associate at Alliance and has worked with Don Mink since 1992. Before that Linda and Butch served at Wounded Knee from 1981 to 1990. Sunday School has experienced a restart of sorts with the dedication of two Native American ladies last year who wanted to help with the children. Please be in prayer for them! This multi-ethnic (Native Americans, Anglo) congregation is on the Tulalip Reservation in Seattle, Washington. This congregation has a food bank, which feeds approximately 14,000 people. They also are home to the local AA group. The work at Tulalip Reservation in Washington has an average attendance of 24. It’s a multicultural church with Native Americans and Anglo believers. They have a food pantry that feeds 14,000 people. They host the local AA group. As early as 1953, Rev. Earl Bailey studied the movements of Native Americans to Scottsbluff. That year meetings began in the home of Robert Hawk. In the fall of 1954. Rev. 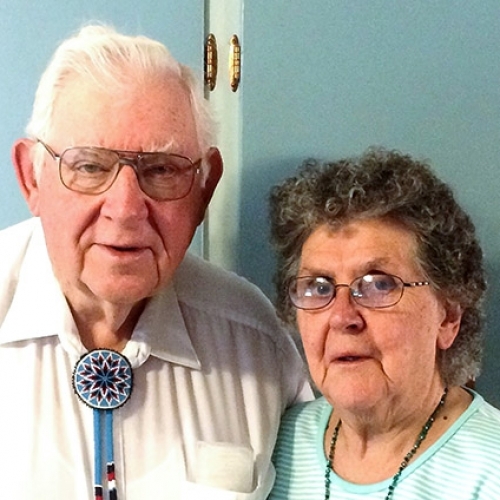 and Mrs. Earl Bailey moved to Scottsbluff to help establish the Platte Valley Indian Chapel. By January of 1956, the Chapel began meeting in the basement of the parsonage. The youth center was dedicated in March 1963, where the church moved until the actual church building could be built. Scottsbluff dedicated the new Chapel building as the Intercultural Service Center. Now it is called the Intercultural Chapel. The demographics of Scottsbluff have changed drastically since the early 1950’s. Presently, the Hispanic community is by far the largest non-Angle population. As such, this building will soon come under the leadership of the Hispanic Concilio. As for now, there are still plans to continue a small Sunday night gathering for Native Americans at the Intercultural Chapel. The church has grown from an average of eight in attendance just four years ago to an average attendance of twenty-five. The strongest growth is in the youth and children’s ministry. We have children’s time on Saturday mornings and youth in the afternoons. These youth and children also have their service and class Sunday evening during worship time. 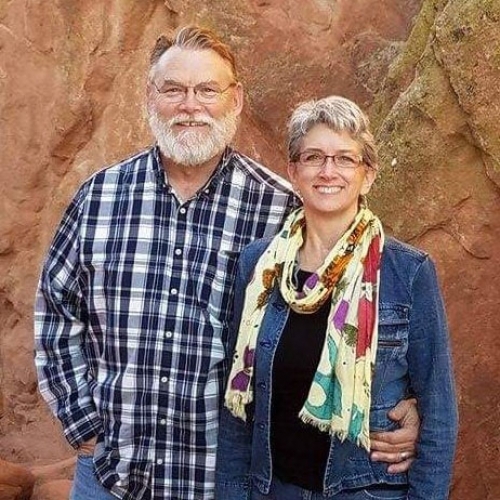 Tim serves as Lead Pastor and Kim serves as Associate Pastor of Youth and Children at the Pass Creek Church of God. Regular Sunday morning worships and learning times have been established, both men and women’s weekly bible studies, common sense parenting classes, 1 on 1 discipleship sessions, the addition of a suicide prevention councilor, a healthy youth ministry, children’s Sunday school, grief counseling, and the establishment of a Pastoral Care program in a local hospital and nursing home, are the programs that are up and running to date. In 2018 the current plan is to have an addiction counseling program going strong along with a radio ministry to get the gospel to as many on the reservation as possible. Psalm 37:4 says “Take delight in the LORD, and he will give you the desires of your heart.” They believe that God placed the desire to serve the Lakota people in their hearts and that He is going to do great and marvelous things with these first nation people. The Church of God work in Lapwai, Idaho, among the Nez Perce Indians, began in 1945. This work was started by Jim and Grace Cole. Currently, Rev. Stan Marble is overseeing and ministering to the people at this mission. Please be in prayer for Stan and the work there, as this is one of our more needy works. With a building that is over 35 years old, they have a lot of needs that require attention. Homeless are fed daily at the church; the church also supports community efforts for the homeless. Pastor Stan cuts firewood for anyone who needs it. They team works with other churches to meet the needs of the community. They are getting ready to start a food pantry, which is based on a Give/Take program, where people can leave what they don’t use and take what they need. They host Youth Works, which holds a seven-week kid’s camp program, which about 30 to 40 kids attend. They work with the Young Life group who come and do the “5th Quarter,” which is a well-attended after-game event held at the church. The Navajo Reservation, on which the Klagetoh Shelter Mission serves, is the largest reservation in the United States: 27,096 square miles and more than 300,500 people. Poverty, alcoholism, and crime rates are staggeringly high—the power of God sustains this oasis in the high desert of northeastern Arizona. VBS, revivals, special Thanksgiving and Easter services, Christmas gifts to the needy, prayer meetings, and work camps are just a few of the activities that take place through Klagetoh Shelter Mission each year.